Well. Day 0 of E3 just came and went. Microsoft had their keynotes. (Stay tuned for a full report on their keynote). While Microsoft’s gaming line up wasn’t super impressive, they still had a few good things to show such as Killer Instinct, Crimson Dragon, TitanFall, Quantum Break and of course Halo 5. There was a lot of heat going towards the Xbox One for its… box-like design (Xbox is a box – crazy, right?) and people compared it to a retro machine that looked much like a VCR. 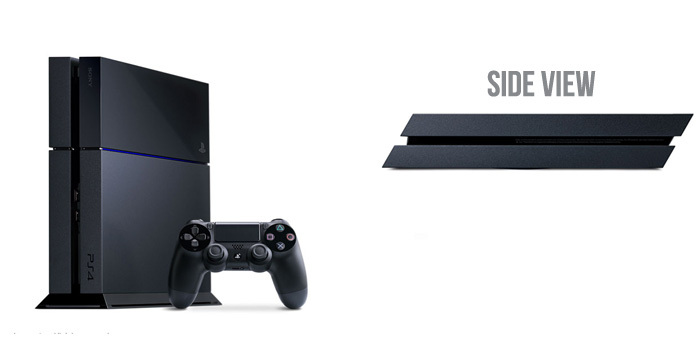 Nothing was more amusing than to finally see Sony reveal their console – an Xbox One. Italicized. Just take a look at the picture! 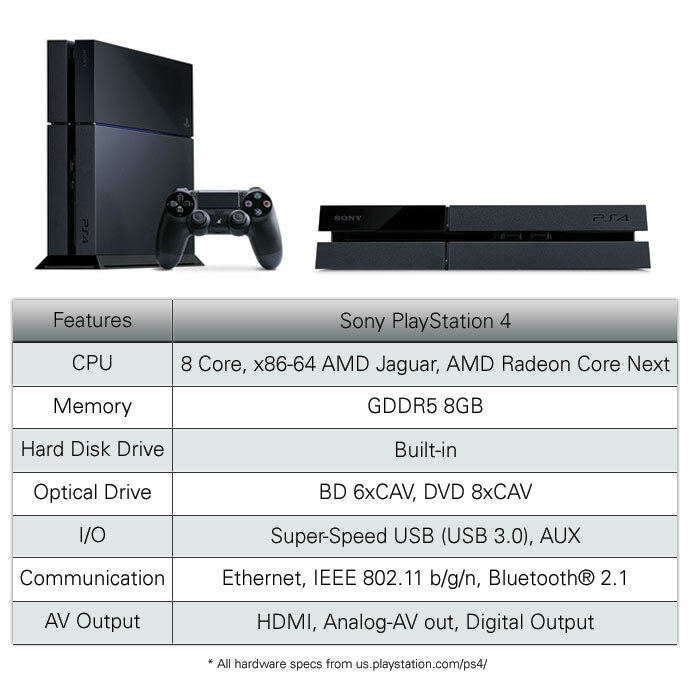 It looks exactly like the Xbox One just a little skewed! The show continued with more revelations and demos of other games the PlayStation 4 has coming up. They showcased their games at first and it seemed to be a decent line up with games that we know about such as Last of Us, Beyond Two Souls, Gran Turismo 6, Infamous: Second Son, Elder Scrolls Online and Diablo III. However, I’m positive every single fan out there went wild with excitement when Sony revealed Final Fantasy XV and the long-awaited Kingdom Hearts 3! Though not in the same level of excitement for fans, Sony also revealed Mad Max. And then the heat really turned up. 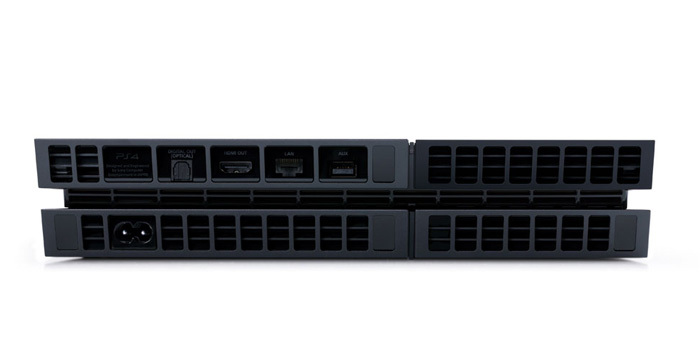 Sony began to reveal more details about the PS4. And each aspect was one deathblow after another to Microsoft. And not only that, they did so in style rubbing it one to Xbox and Microsoft. And bam. The first strike. 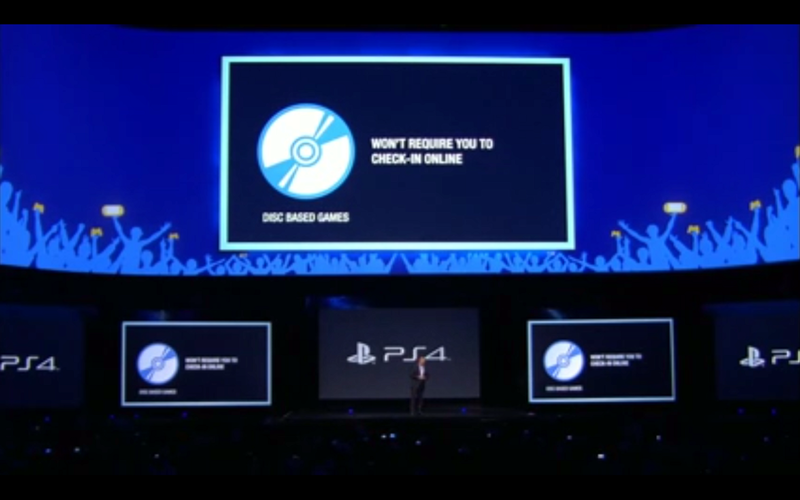 “PlayStation 4 supports used games.” The crowd went wild. Jack is happy and allows the crowd to cheer on. He laughs the applause off with a joke, “Guess that’s a good thing.” You expands and basically counters every single of Xbox’s policies: trade in games at retail, sell it to another person, lend it to a friend or keep it forever. The crowd goes wild again. The cheering goes on a while. PlayStation Plus membership will carry over to PS4 – so you will have access to everything with Vita, PS3 and PS4. And PSN+ benefits include, cloud games, discounted games, game updates, and much else. And then came the last deathblow on Xbox. 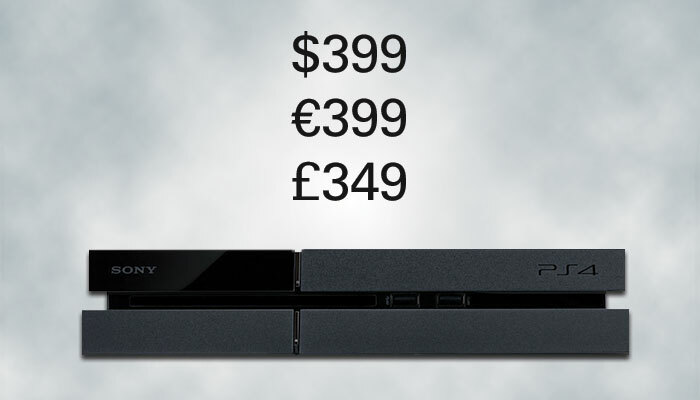 It’s price point is set to $399, a staggering hundred dollars less than the Xbox. But then the Xbox DOES come bundled with a Kinect, which a lot of users will probably NOT use anyway. After all this, I cannot honestly see any reason to go for the Xbox One in light of all this. Microsoft has not taken the best decisions in regards to the Xbox One and seems to have backtracked from what they were able to achieve with the Xbox 360, whereas Sony learned from its past mistakes and is now most likely will be taking the lead, aggressively. Unless Microsoft is able to change how the Xbox One will work, namely its used games licensing and online authentication, I cannot see the console being a fan favorite.